Gloria Ann Day, age 51, of Krypton, KY passed away on November 22, 2018 at her residence. 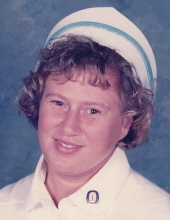 Gloria was an LPN for 19 years at the Hazard ARH. She was the daughter of the late Frank Miller and the late Christine Stidham Miller. She is also preceded in death by one sister: Patsy Ruth Collins; maternal grandparents: Press & Edna Noble Stidham and paternal grandparents: Cager & Fannie White Miller. She is survived by her husband: Bobby Day; one sons: Christopher Miller of Millersburg, KY; two step sons: Chris (Malena) Day of Chavies, KY & Kevin (Cassandra) Day of Krypton, KY; one step daughter: Jennifer (Doug) Ashley of Knott County, KY; one brother: Glenn (Felicia) Miller of Bonnyman, KY one niece: Alex Miller; one nephew: Jared Miller; nine step grandchildren and a host of aunts, uncles, cousins & friends. To send flowers or a remembrance gift to the family of Gloria Ann Day, please visit our Tribute Store. "Email Address" would like to share the life celebration of Gloria Ann Day. Click on the "link" to go to share a favorite memory or leave a condolence message for the family.